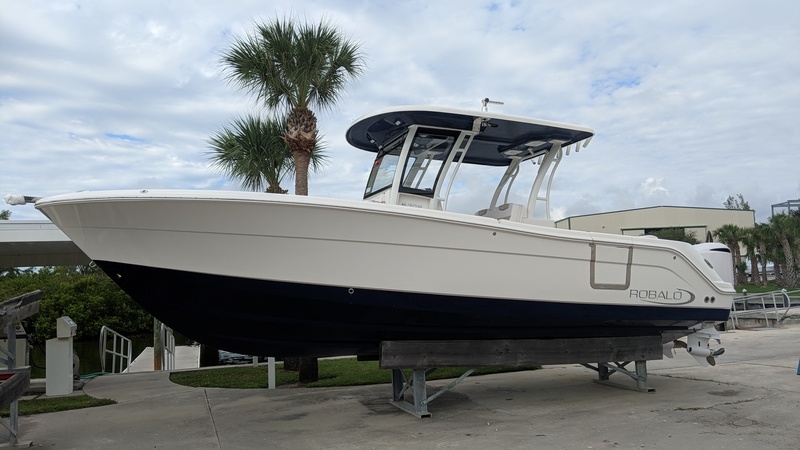 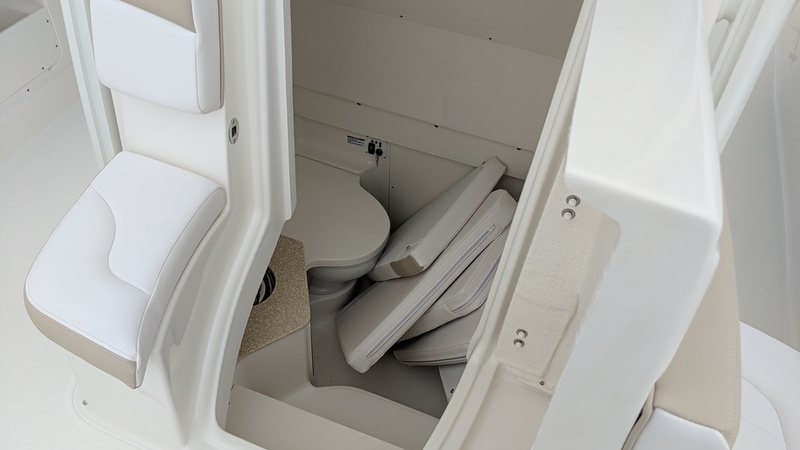 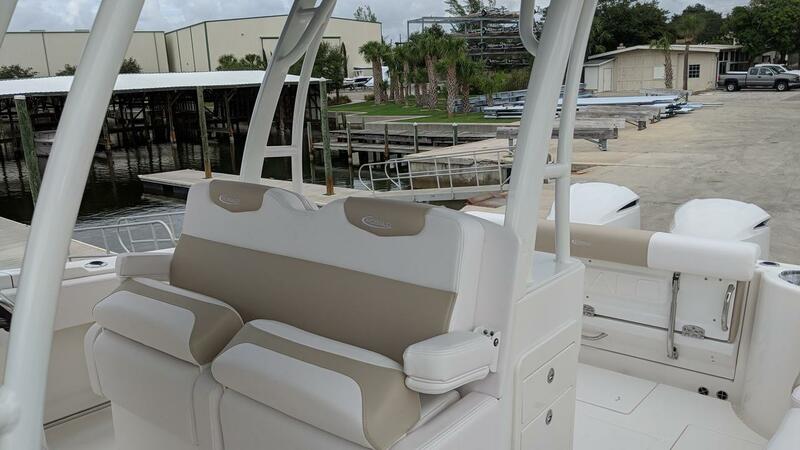 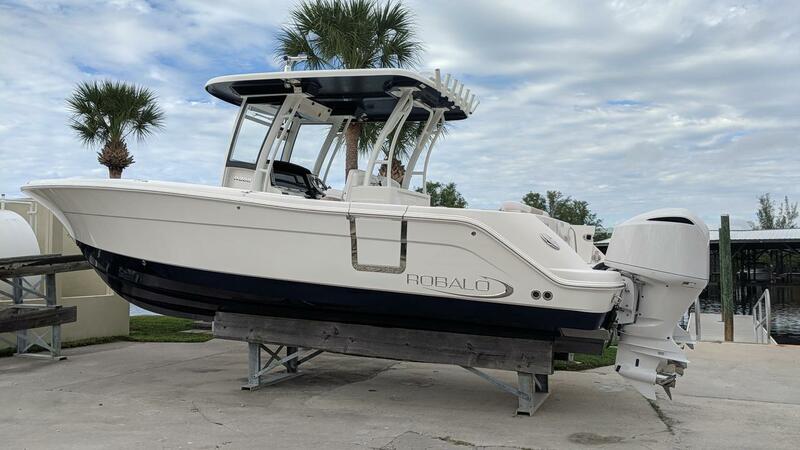 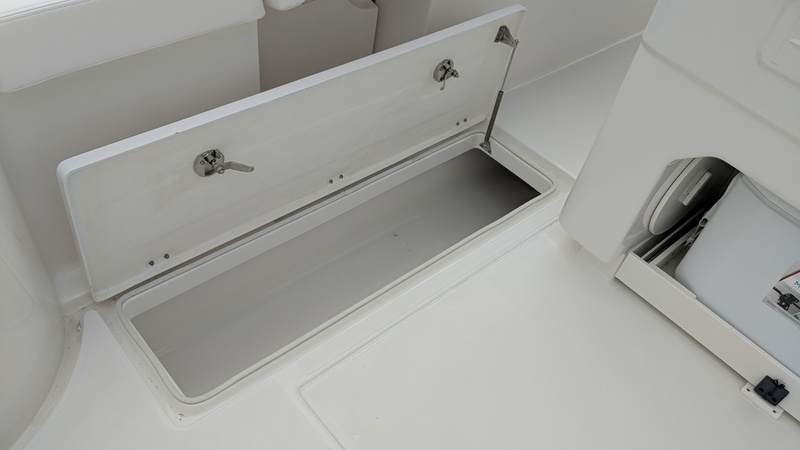 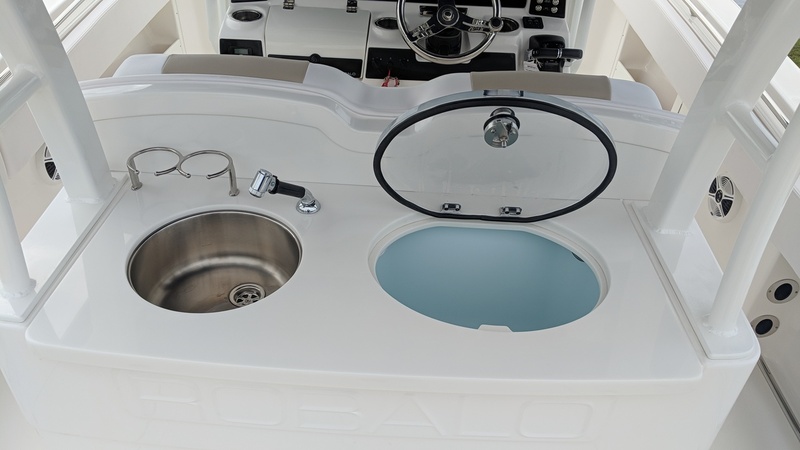 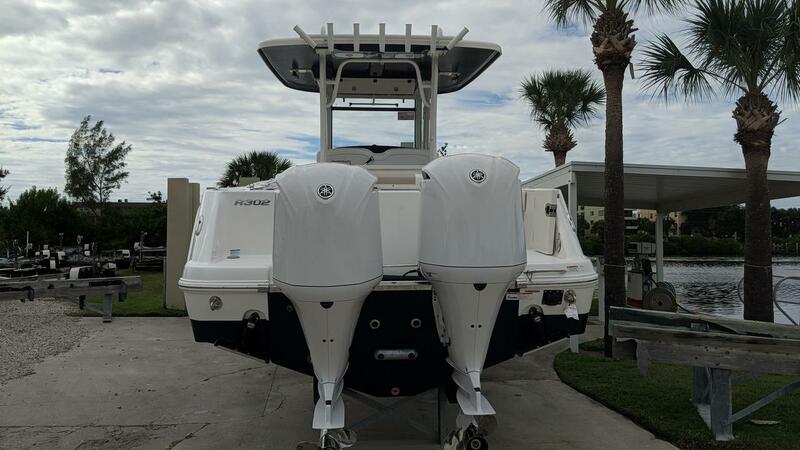 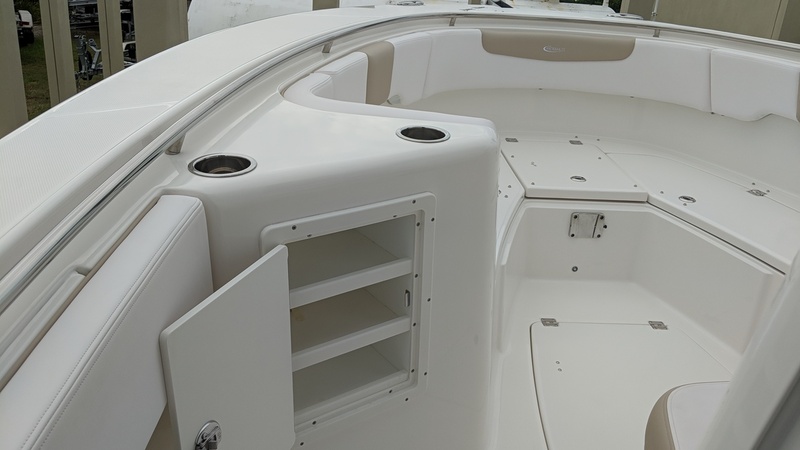 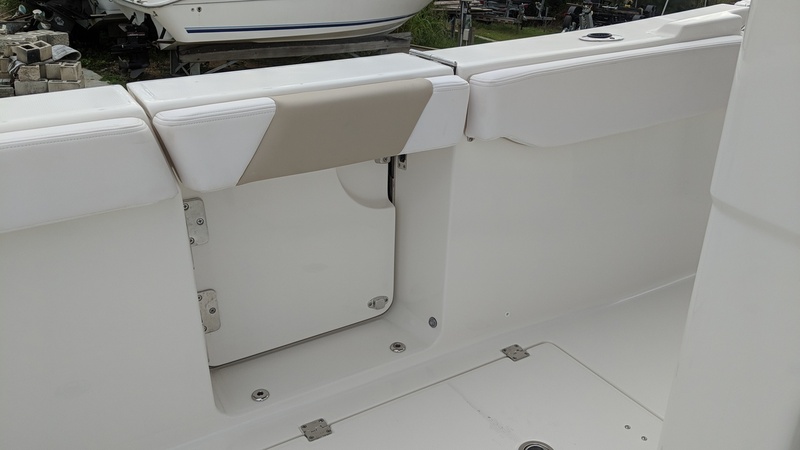 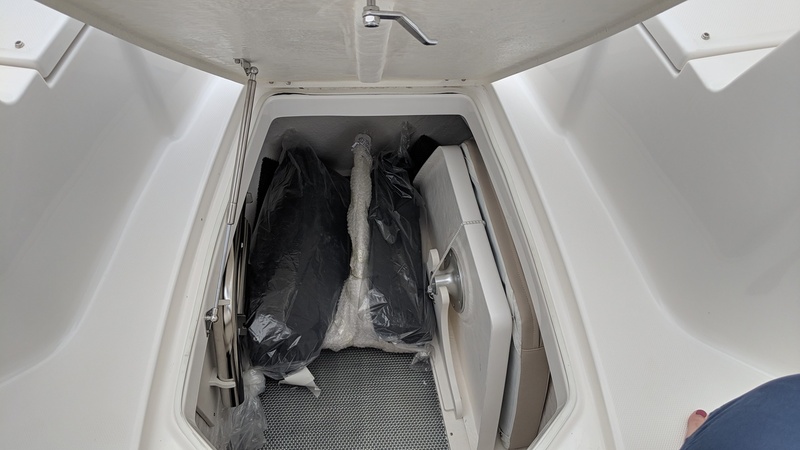 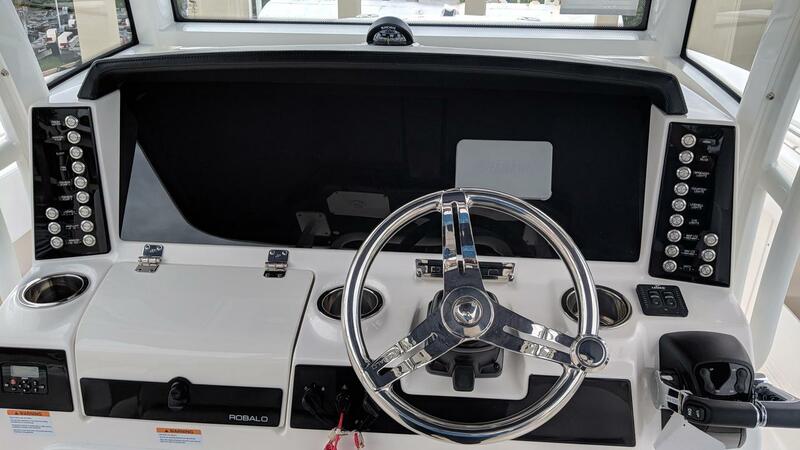 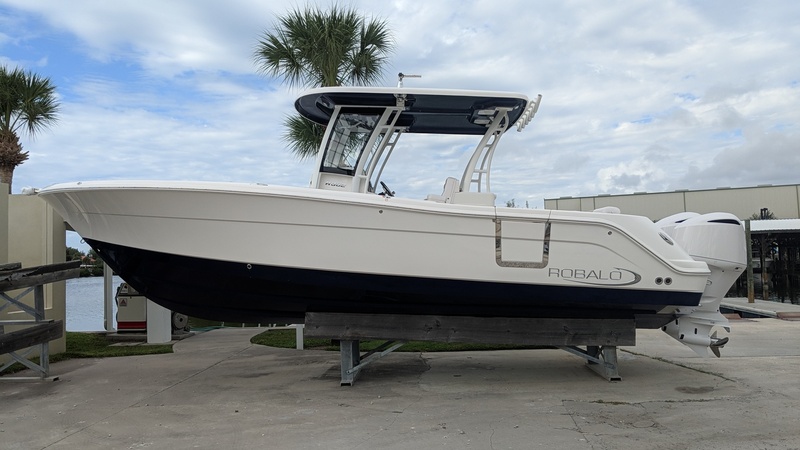 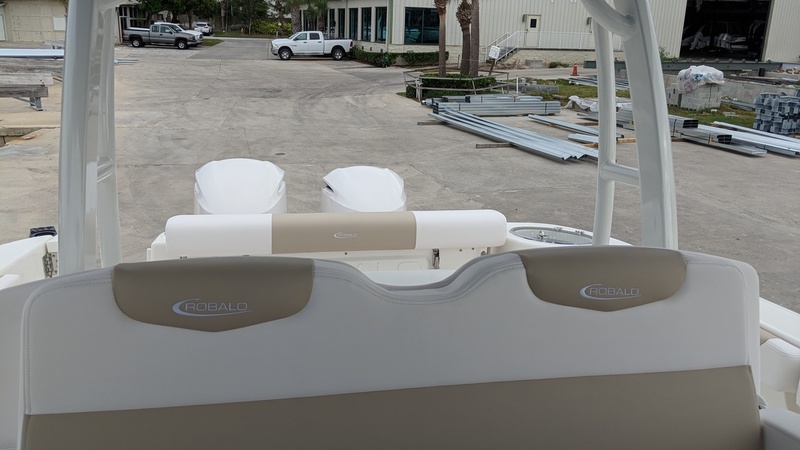 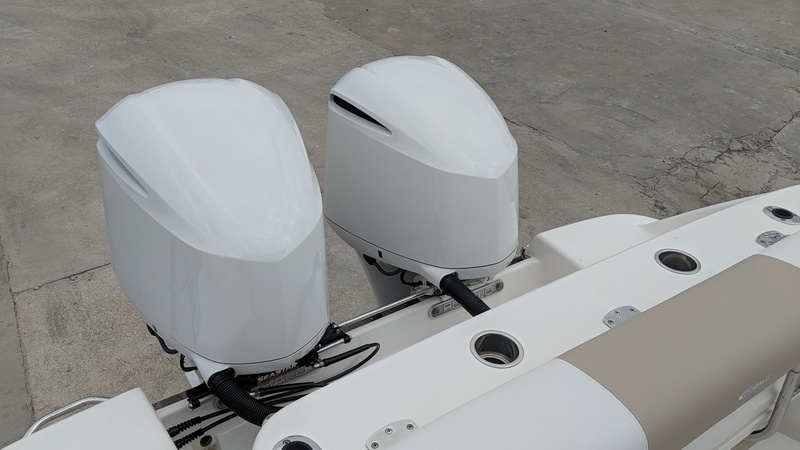 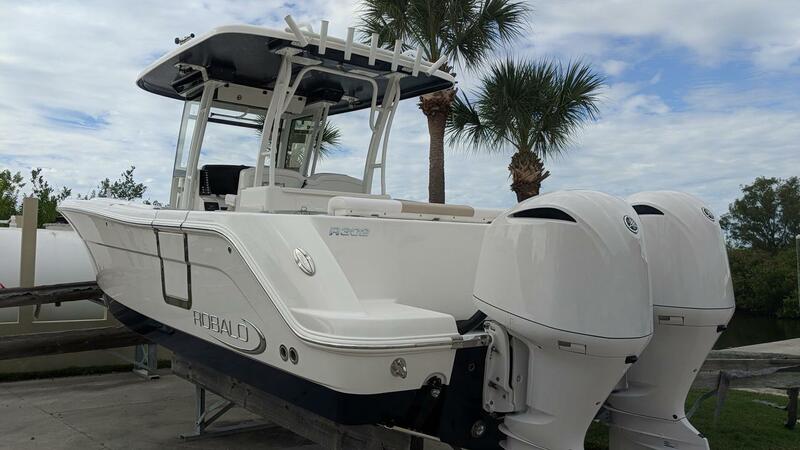 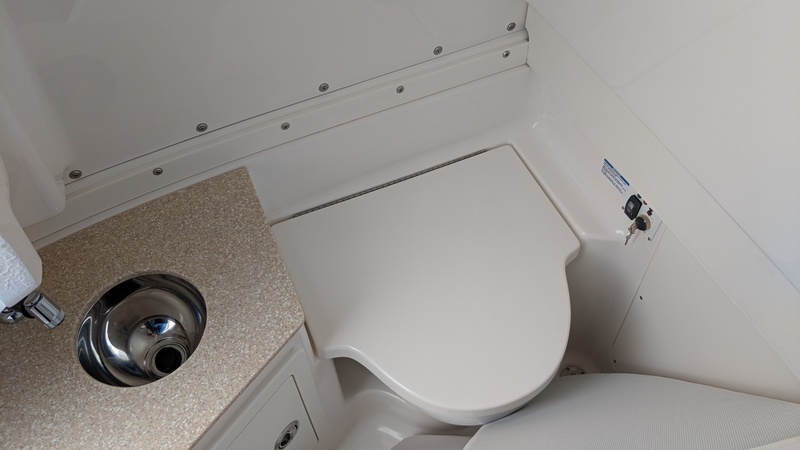 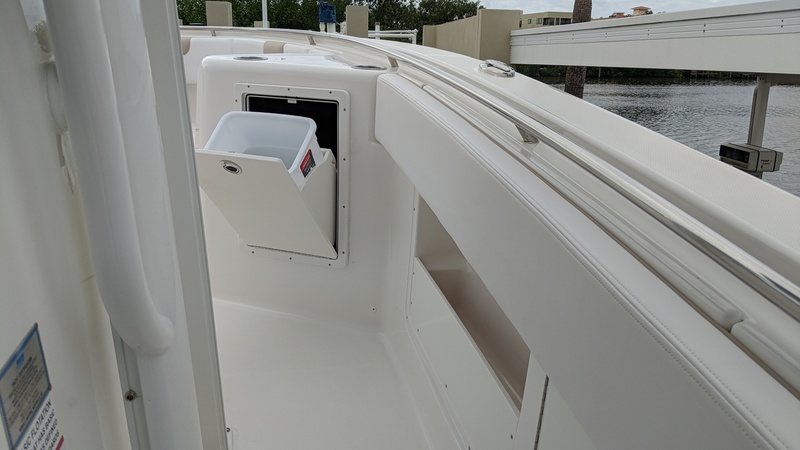 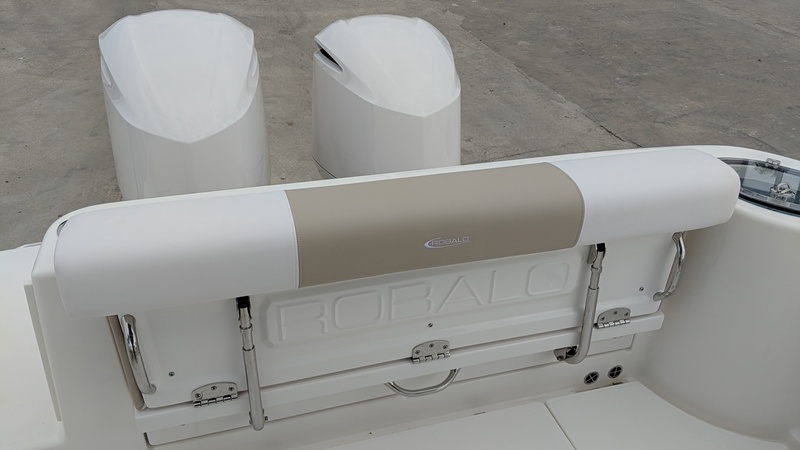 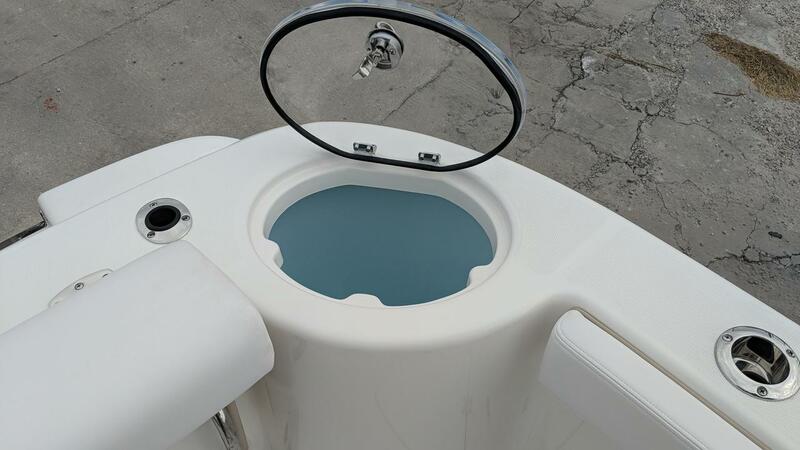 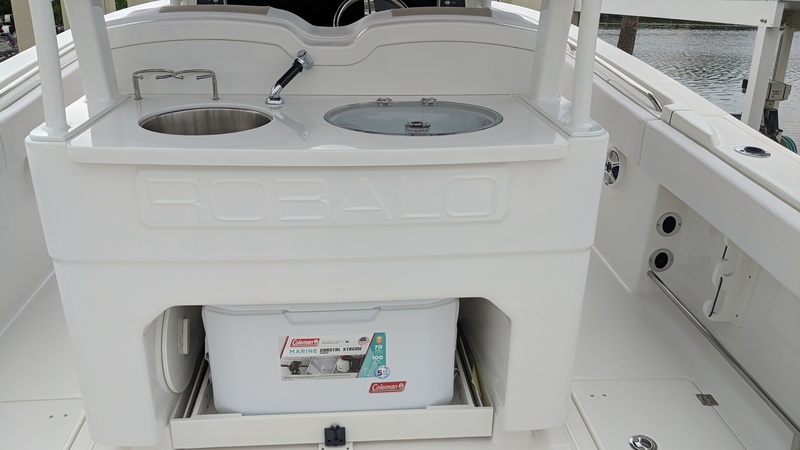 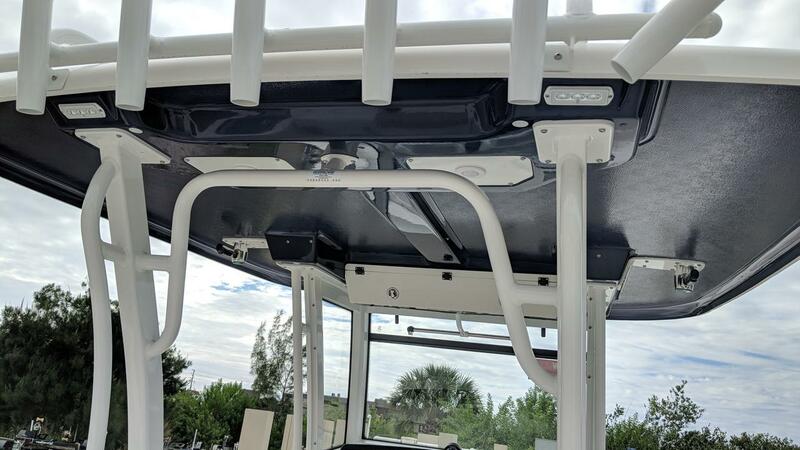 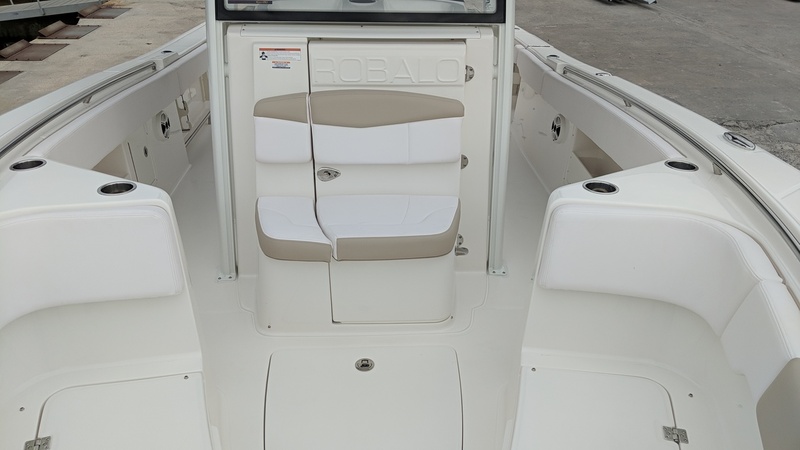 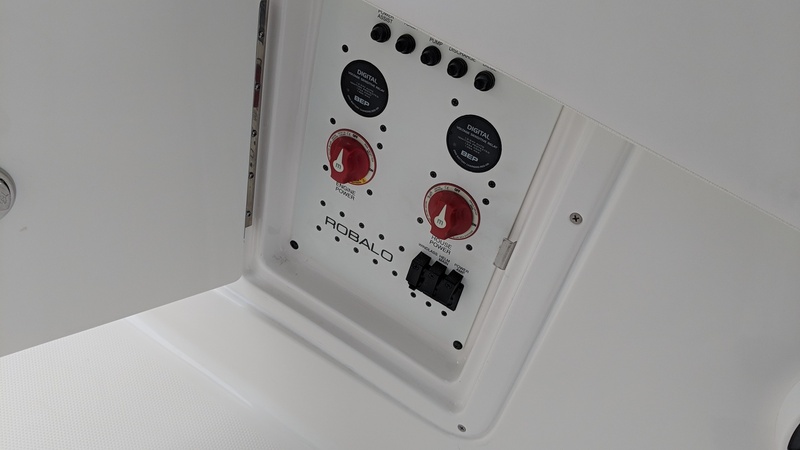 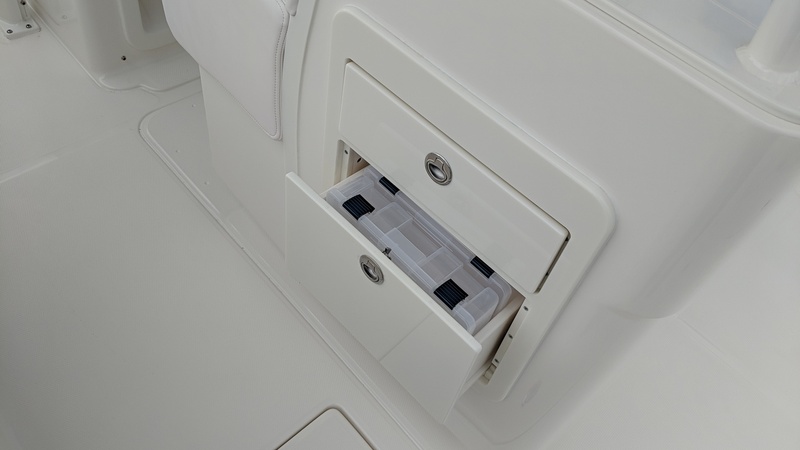 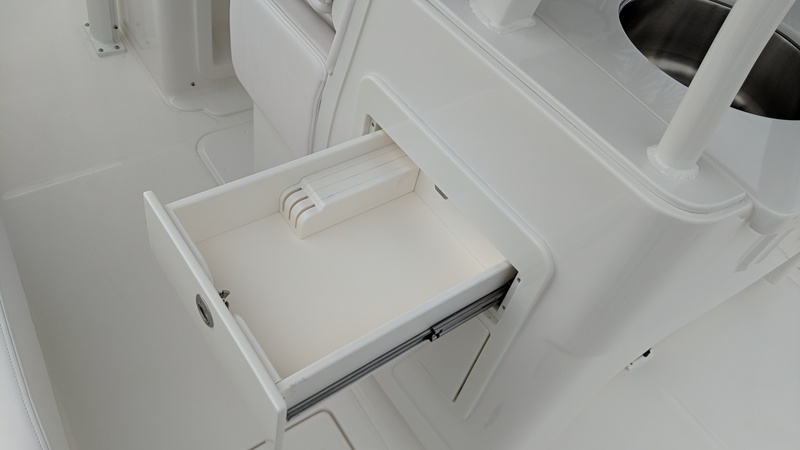 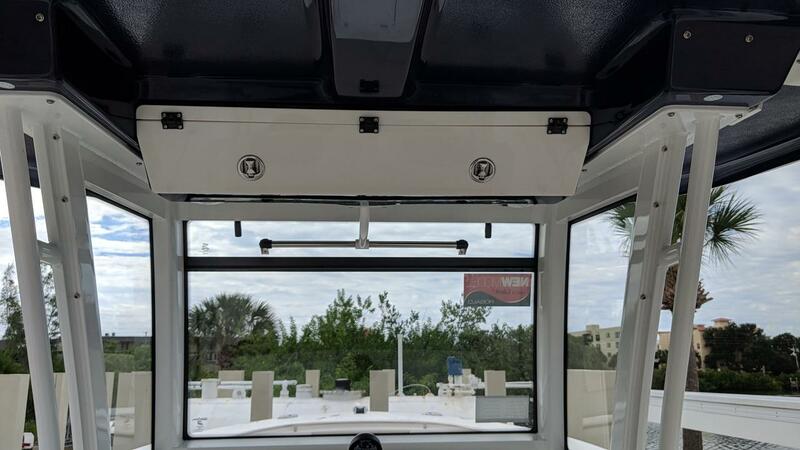 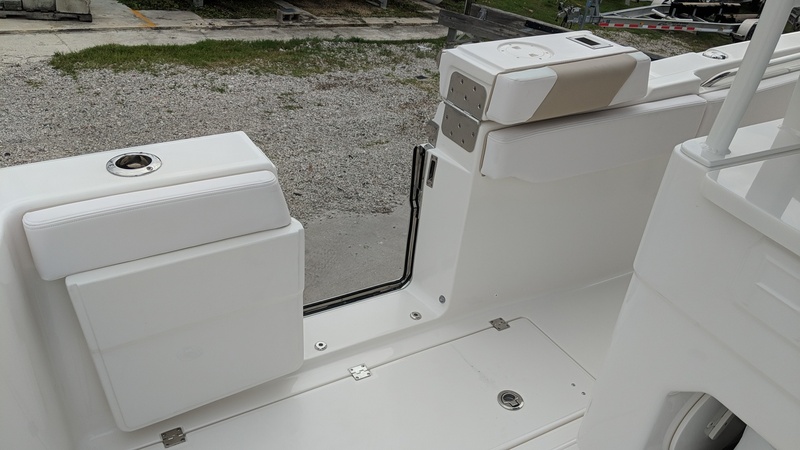 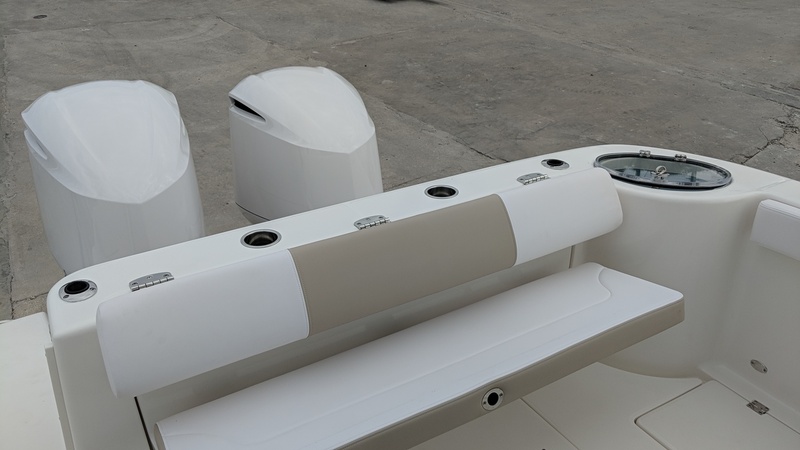 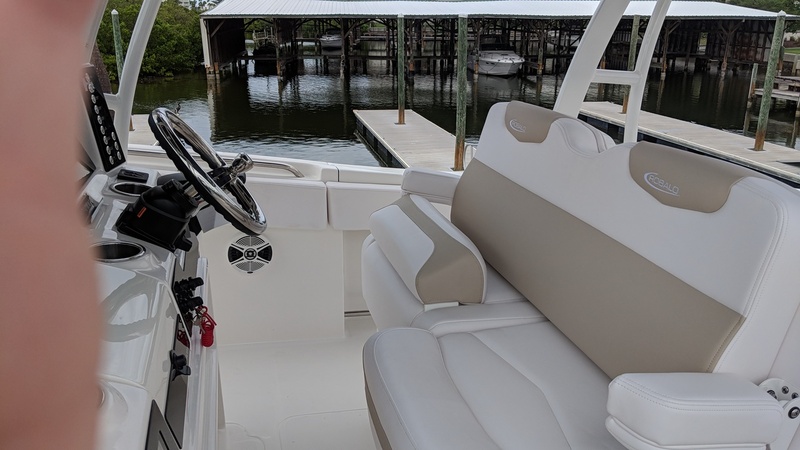 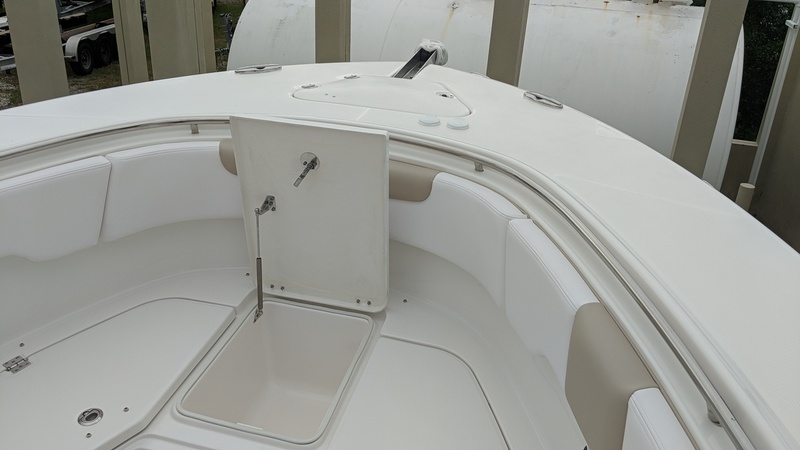 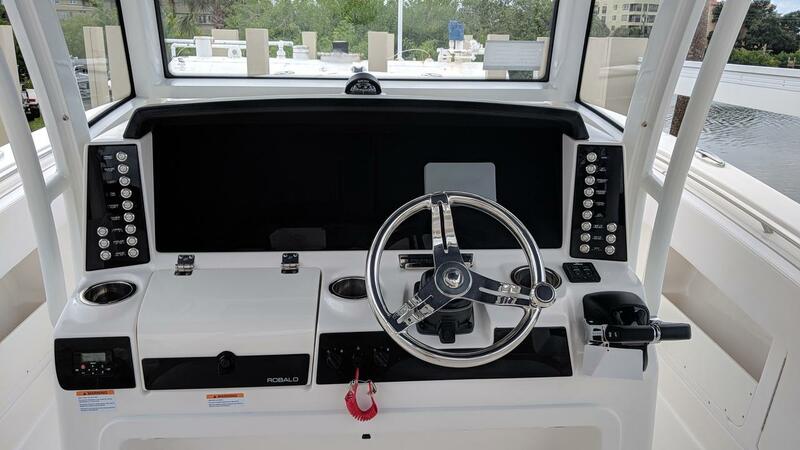 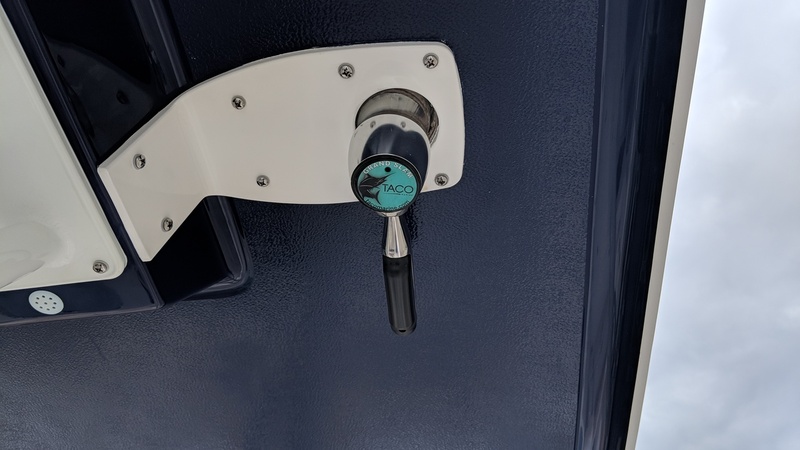 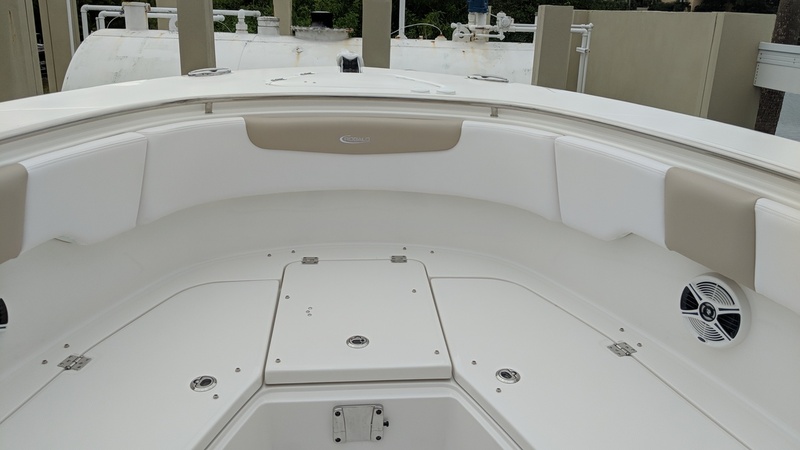 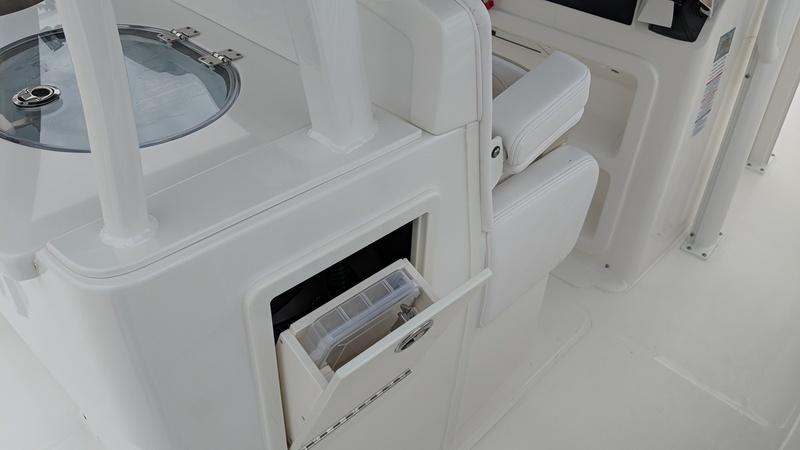 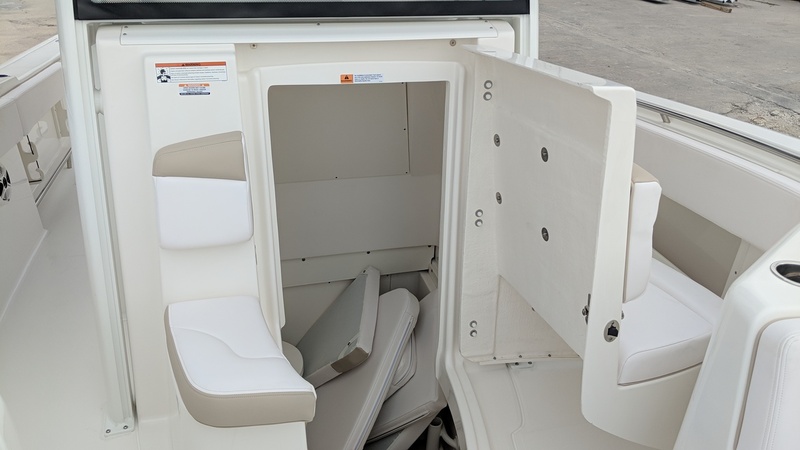 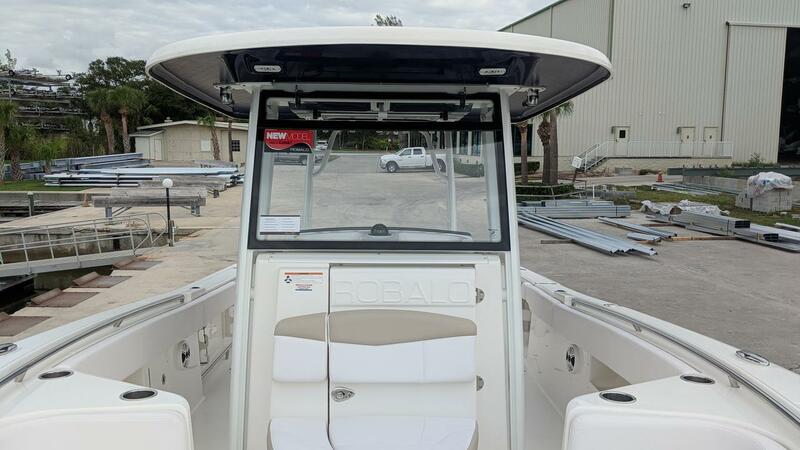 2019 Robalo R302 Center console, powered by twin Yamaha F300 XCAs. 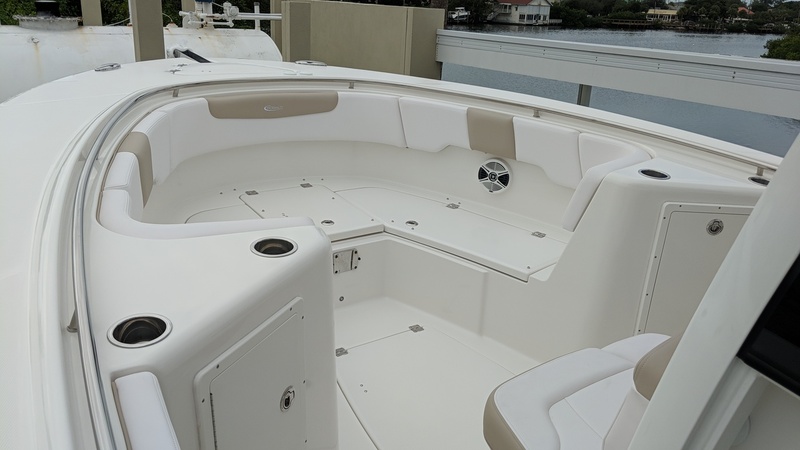 White exterior with navy bottom and ocean sand interior. 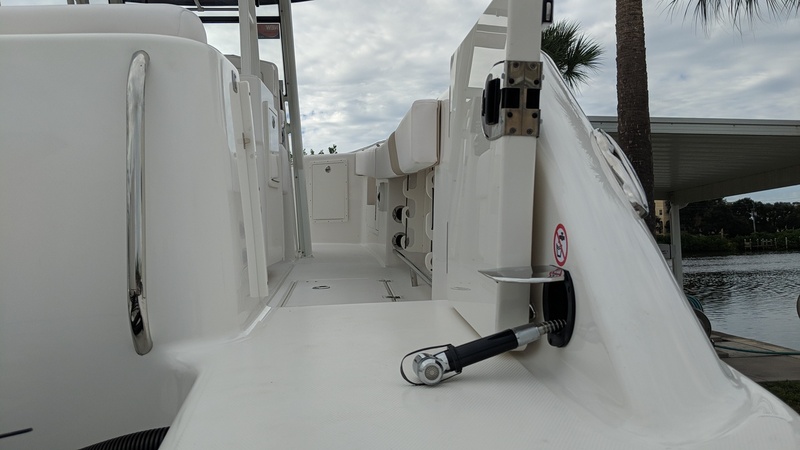 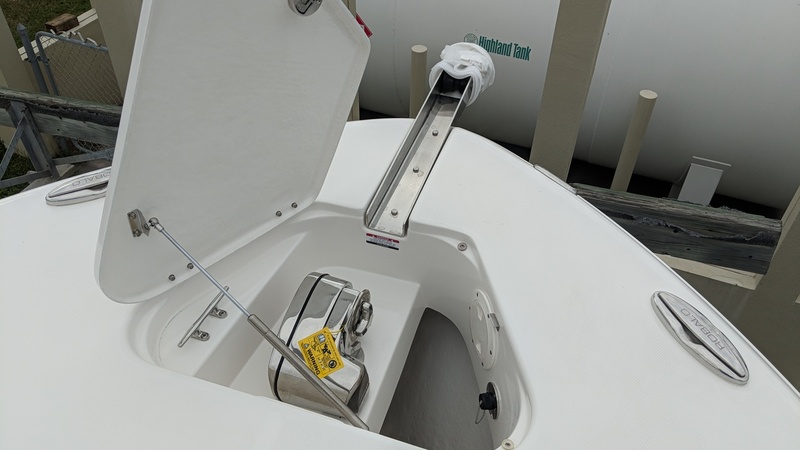 Features include: powdercoated hard top w/ under gel color, outriggers, electric head w/ overboard discharge, SS anchor, SS cup/rodholders, stowable side entry ladder, console cover, underwater lights, and white engines! 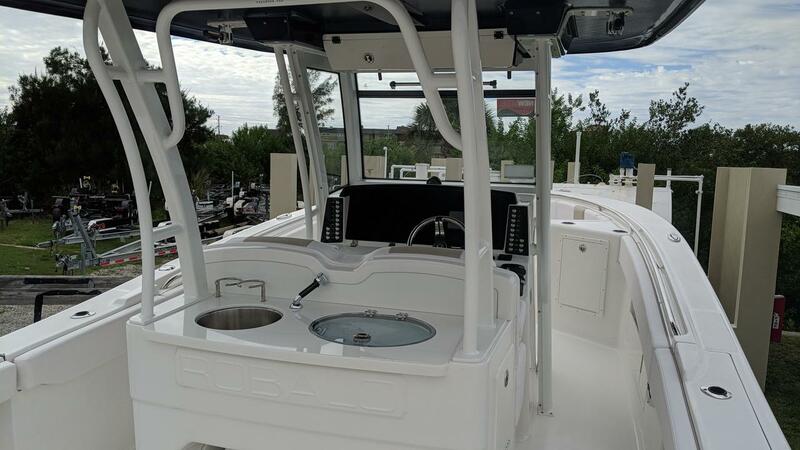 Electronics include: twin Garmin 7612s, open array Radar, Garmin VHF, and Yamaha Gateway.